Welcome to Wow Us Wednesdays. I am loving all the inspiration I find at these parties. 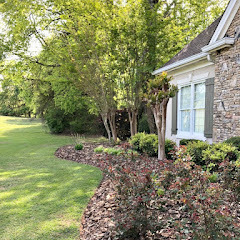 Here are a few features that I chose. Did y'all see this fabulous DIY ticket sign? It looks so professional. You must see how it was made by Top This Top That. Just amazing and it even has lights. Oh, how I would love a claw foot tub in place of the huge garden tub I have. See how this tub was transformed by Town and Country Living. I adore this unique whimsical light fixture. 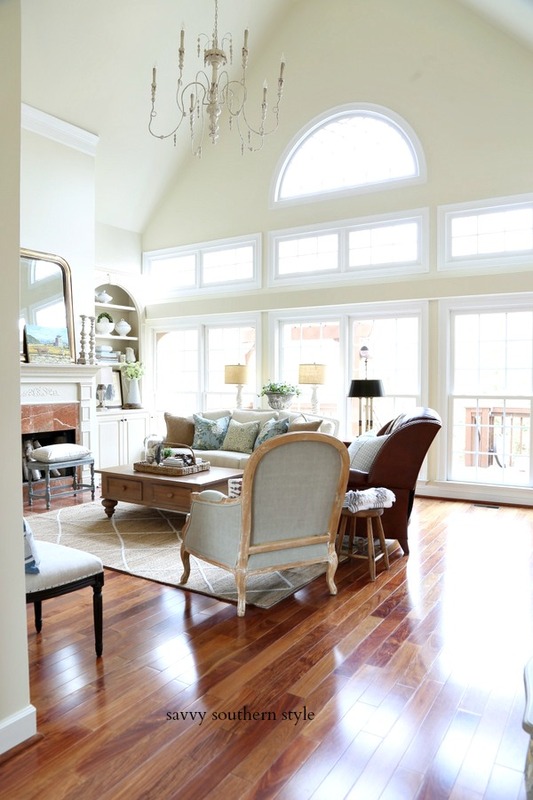 Magazine Your Home was wanting a farmhouse style fixture and I believe she found it. Lots of fall wreaths are showing up in blog land and I like this one by Sweet Pea. It is a little different and she shares a tutorial for how she achieved this look. 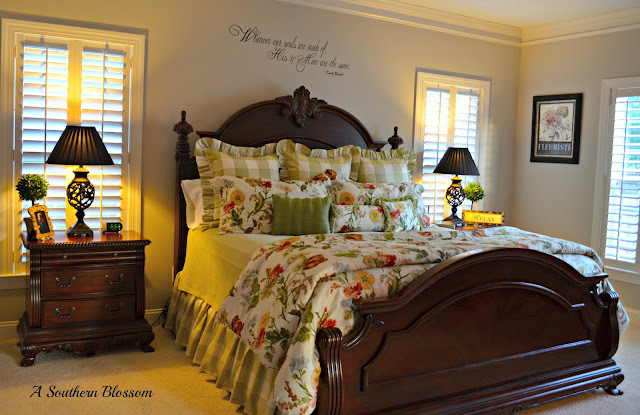 You can take a tour of this pretty master bedroom and bathroom by A Southern Blossom. Check out this wonderful, colorful and fun kitchen banquette by Havoc to Heaven. I hope you will see the tutorial for how this cute woodland dresser was created by The DIY Village. Do you need a good laugh? 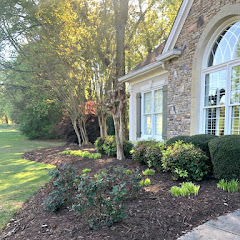 Please check out this post about a moffice by House Talkn. What's a moffice, you say? Go check out the post and find out. Lots of pumpkin treats are starting to be shared. Find the recipe for pumpkin spice cookies with raspberry at Design Stash. Thanks to everyone who partied here last week. I am still finding several without a link back to my blog. A couple of them I even wanted to feature, but will not without a back link so be sure and add those. This morning the top three most viewed links from last week were shared here if you missed them. Don't miss this GIVEAWAY. The winner will be announced Thursday. Thanks so much for hosting your party. I'm off to check out your great features! You've WOW'ed me! I'll take the tub AND the light fixture, please! Thank you kindly for hosting, Kim! I tried joining your party twice tonight and it won't let me. I do have a back link to your site as I normally do. Any advice on how to join? I so wish my bedroom looked like the one up above...so pretty. Thanks for hosting week after week. I appreciate it! Your project gallery looks great on your sidebar too. 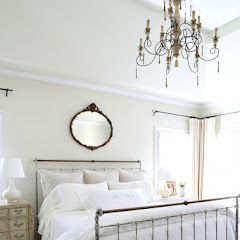 Love the features Kim, and what a farmhouse light fixture! Thanks for hosting:-) I missed your birthday, I think, so happy birthday!! Hey Kim! Are you recuperated after a day of fun with your sis? Hope you had a great b-day. Thanks for the sign shout out! One day I will have you over for a movie!! Great features! I love the wire cloche centerpiece. Love them all - the woodland dresser, amazing light fixture and House Talkns hysterical moffice! Beautiful Features Kim, I can't wait to take a look at that lovely bedroom! Thanks for hosting! Lots of incredible inspiration, Kim! Hi Kim: Thank you so much for hosting the party today. The features are lovely--I especially liked Jennifer's tub that she stenciled! Have a wonderful rest of your week. Okay, so I missed the memo obviously. I had no idea you left blogger. I have my new site, just have been dreading moving, since I hear that pageviews drop off, and it takes so long to get back to where you were. I hope yours is going well. I can see several bloggers have made the move, and I need to too. Love your features today. I love the bucket/spigot chandelier - how very clever! Lovin' the fall inspiration all around too. Got to go find out what moffice is - thanks for hosting. Thanks for hosting; I tried to get in and have a link to your site, but it didn't work. That tub . . . someday, I hope! Adore the light fixture too. Thanks for hosting! Hi Kim! Thanks so much for featuring my "third time's a charm" claw foot tub! :) Thanks too, for hosting! Oh ... and Happy Belated Birthday!! Thanks so much for hosting, Kim. Happy Belated Birthday! Hope you have a great week! Features look great. Happy birthday! Thanks for hosting! That woodland dresser is FABULOUS! Oh wow! So many fabulous features. Thanks for hosting Kim. Thanks for the super party, glad to be here! Kim, Your features are wonderful! The bedroom is so pretty! Each one is so unique. Thanks you for hosting! Thanks so much for the party Kim! I love that ticket sign!! I absolutely LOVE linking up to this party every week! For some reason though, it keeps telling me I'm not linked back within my post everytime I try to link up tonight. Hmmmm, the button/link is there.... any help? Thank you for hosting -- I always enjoy looking through all the links, even though it takes me a few days. Great features from last week....and looks like some great inspirations for this week! !...Thanks for hosting...Have a great day!! So bummed...for some reason it isn't let me link this week! Says I don't have a back link when in fact I have two! One at the end of the post and one in the sidebar. Never had this issue before. Oh well, hopefully it will work next week! Love your features! Thanks for hosting Kim!~:) thanks for helping me out too. That bedding is gorgeous. I am checking out some of these features now. Oh, I just love that woodland dresser! just linked up, Kim. thanks so much for a great party! Hello Kim! I'm not joining today because I don't have a recent post but I came to say Happy birthday! (a bit late, sorry). I will visit some wonderful ideas. What fun picks this week! Thanks again for having us all over! I've tried to link up three times, but it keeps saying I have no back link even though I do. I clicked over here from my link. Hmmm...I'm not the only one having trouble linking up I see. I keep getting the same message about the back link, even though my post has one? Just an FYI. Well, KIm, I'm having the same trouble others are having. It says I have no back link and I've put two of your buttons on my post! Oh well - maybe next week! Thanks for hosting Wow Us Wednesdays. 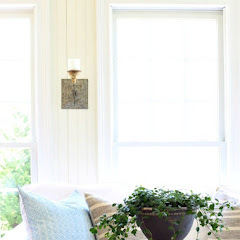 It's so much fun and thank you for featuring my farmhouse light fixture, what a surprise! As always, Kim. Thanks so much for hosting. Very creative features. Thanks for hosting. Thank you for sharing my "Moffice!" Wish we lived closer and you could join our shenanigans! Hi, Kim. So very glad to be partying with you this week. Thank you! Kim, I really love your eclectic features and the thoughtful little write ups. Beautiful light fixture from Magazine Your Home. I featured her at our Spring'tacular party and I still adore the beadboard insert she made for her fireplace. Super original and so cute! I need to check out this week's fabulous features, Kim. Thanks for hosting! Great party, Kim! Thank you for hosting. You have some wonderful features -- the tub, wow, so beautiful! Thanks for hosting, Kim. Was on holiday and missed the great features. Glad to be back! The Linky thingy didn't like me today, so I couldn't enter my site. Love this weeks features, especially the three women on the bed. That is a hoot. Also liked the dresser with the trees. Have a great week. Such wonderful features from last week! There is so much inspiration here. Thank you for hosting this lovely party. Enjoy the rest of the week. Great features! I am off to check them out! House talkin looks funny.I could use a laugh!Thank you for hosting! This is my first time linking up here! Thank you hosting!! Thanks for hosting this inspiring party, Kim! I've been clicking and perusing and getting great ideas, as always. (And now I'm hungry for a big slab of cake after reading all the wonderful autumn recipes!!) Take care. pure craziness how much talent is out there...and a moffice...HILARIOUS! Being new to blobbing, I did not realize that the link to your party had to be on the LINK that one shares WITH the party! Duh!! I was putting the LINK as a separae post! I think I did it correctly this time and added the link party button to the bottom of the post I shared with the party! I'm learning! LOL! Thanks for the opportunit to get more followers! I love your blog! I already pinned the red ticket sign from TopThisTopThat, and I'm heading over right now to pin that light fixture-it's fantastic! Thanks for hosting, I just added your button to my party list. Thank you for hosting Kim, great features as usual! Thanks for hosting Kim. Great Features! Love, love the features, Kim! And, thank you so much for hosting! 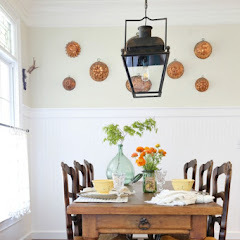 Love that farmhouse light fixture! All were great features. I linked up my Braised Beef Short Ribs...thanks for hosting Kim! Kim, I'm honored to have our woodland themed dresser as part of some AMAZING features! Thank you SO much for hosting one of our favorite parties! Thank you kindly for hosting. The features are beautiful and the links wonderful. Thank you so much for hosting Kim, have a fabulous week!